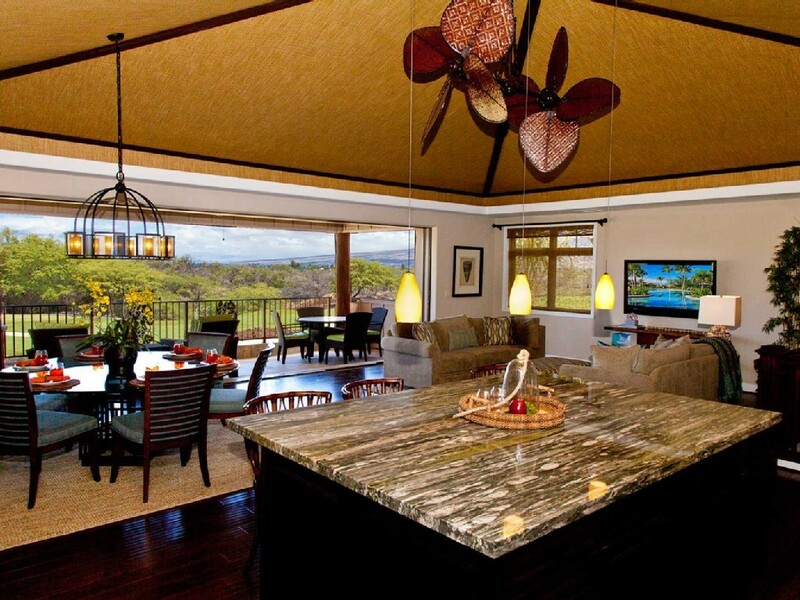 The Makani is perfect for families or groups looking to enjoy all of the splendor of Mauna Lani from the comfort of home. 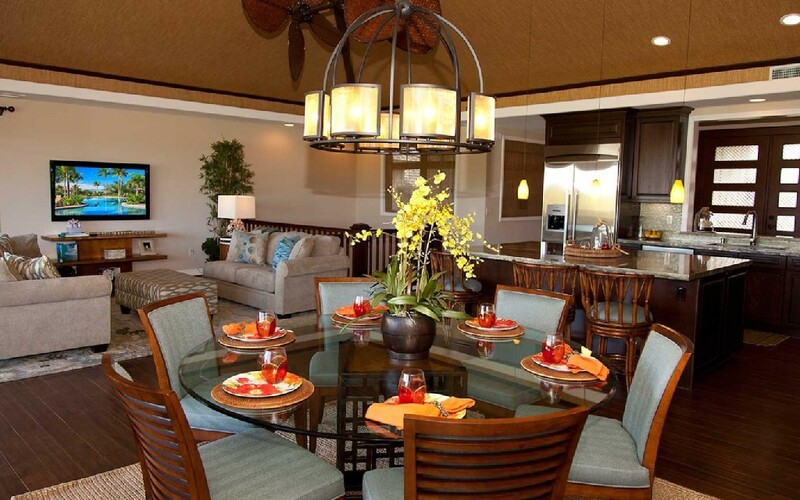 Makani homes have an expansive great room opening up to an extra large Lanai that is perfect for entertaining large parties or a private family gathering. 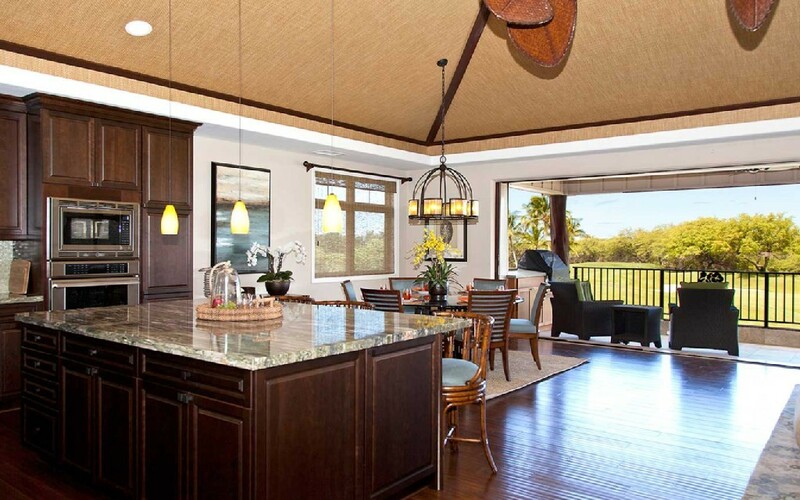 Large lanai doors brings the outdoors, inside. 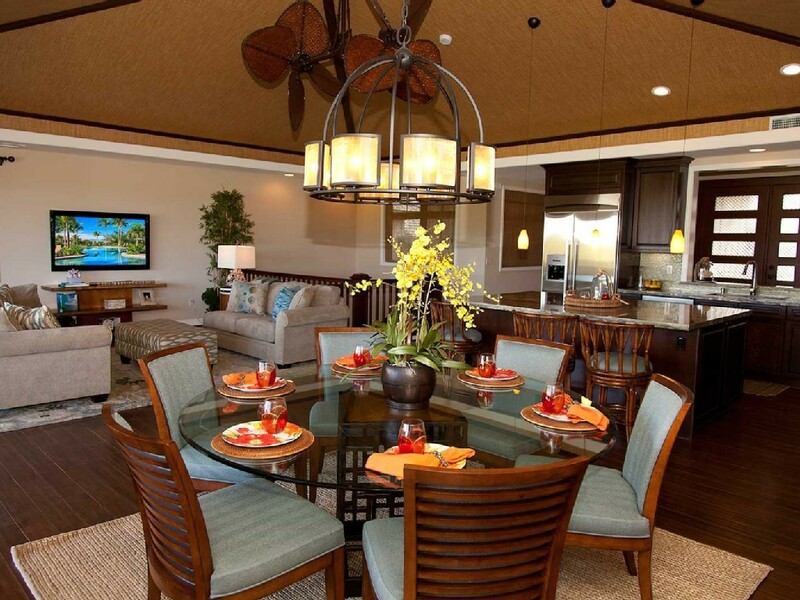 Makani homes are one of the larger floor plans and feature 3 bedrooms and can sleep 8 people comfortably. 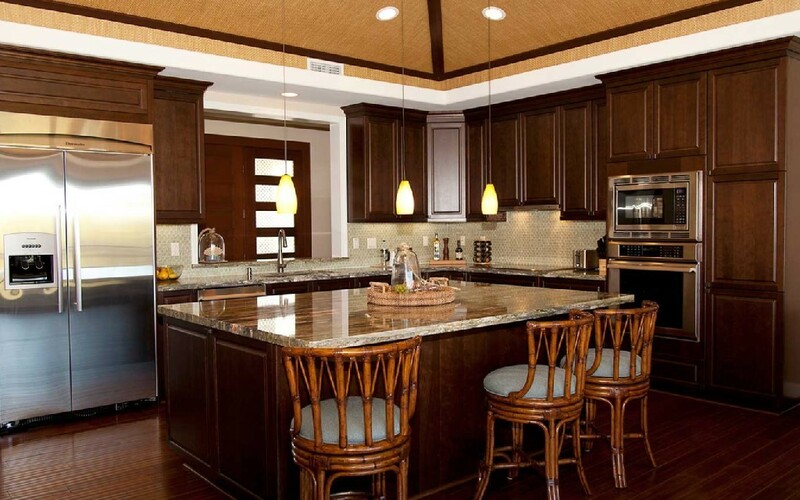 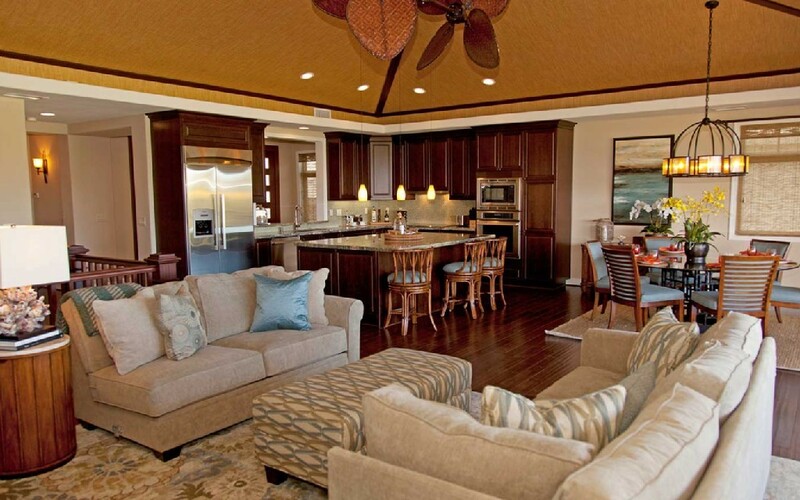 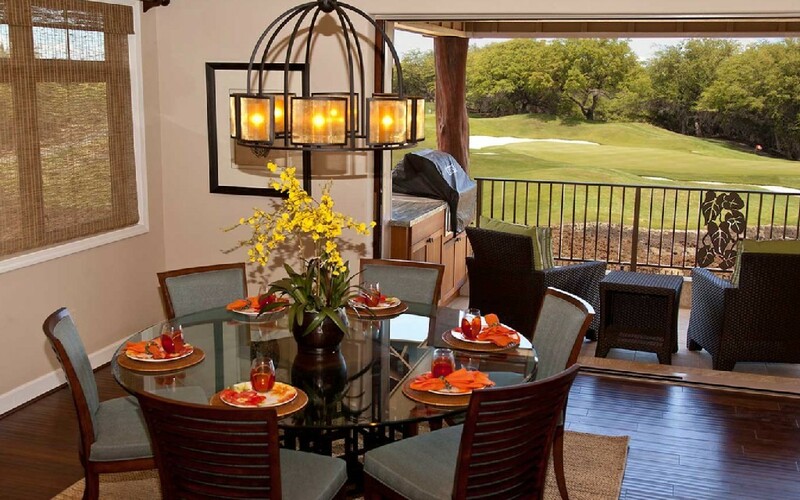 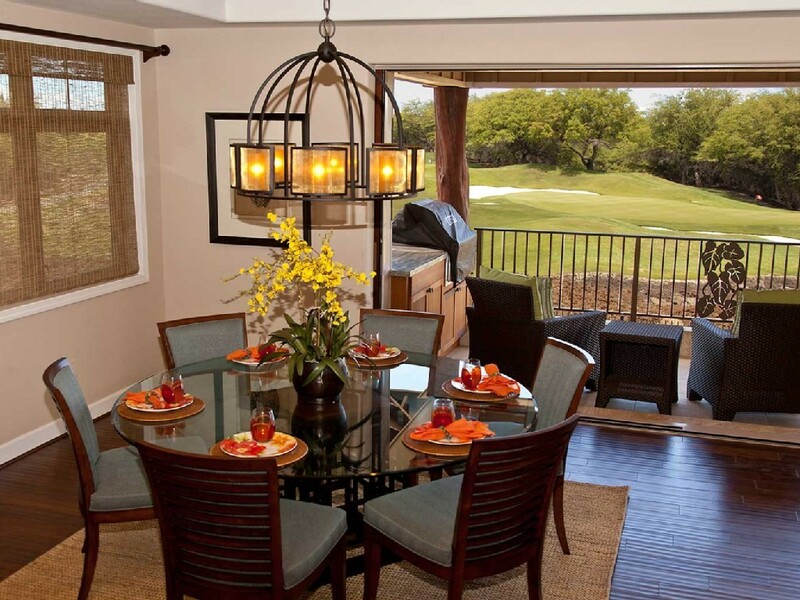 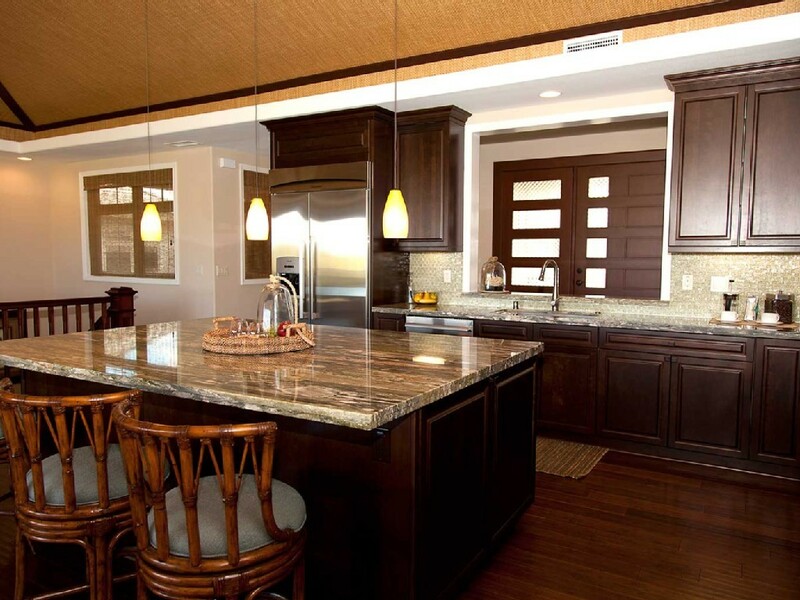 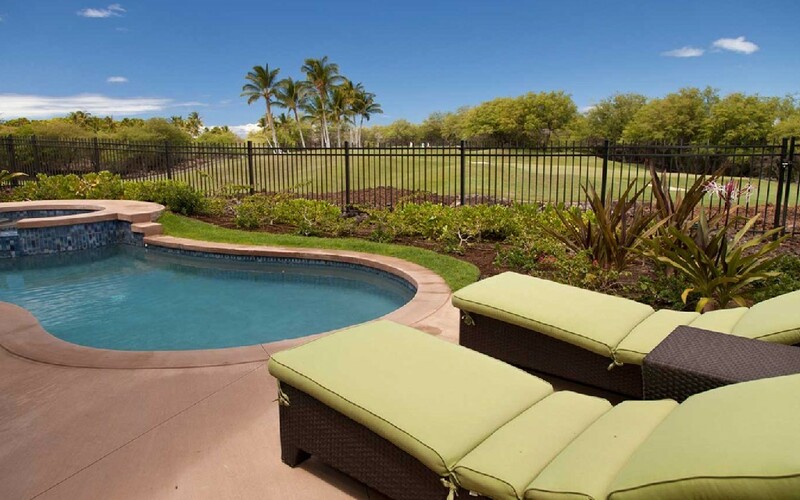 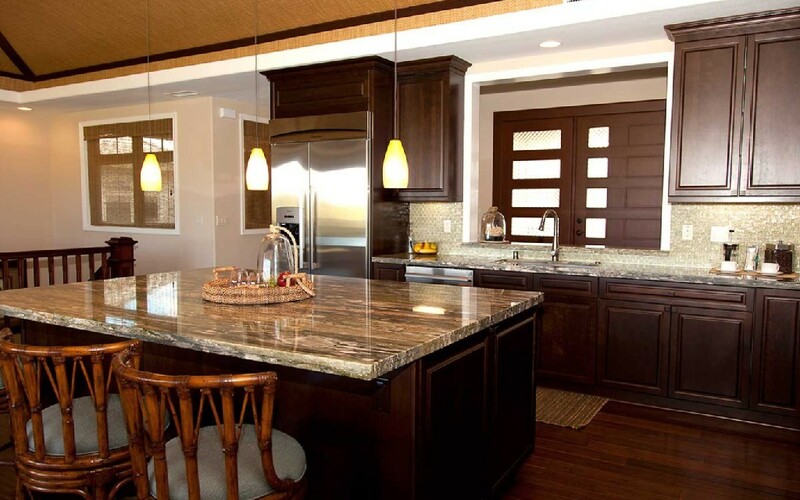 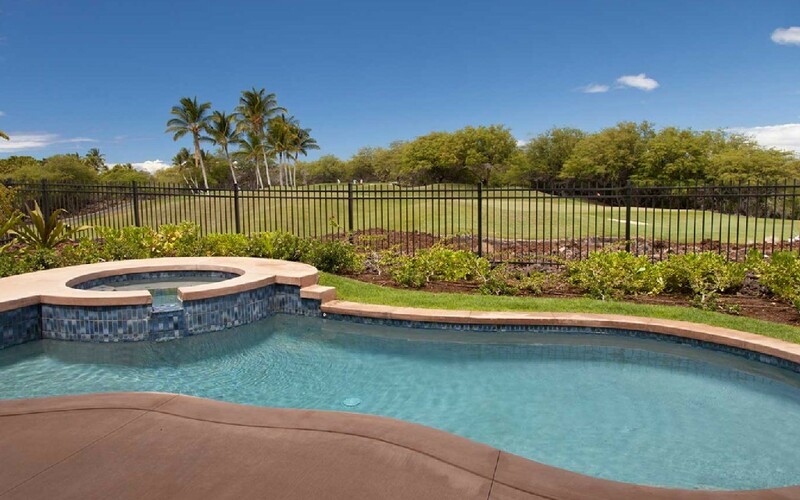 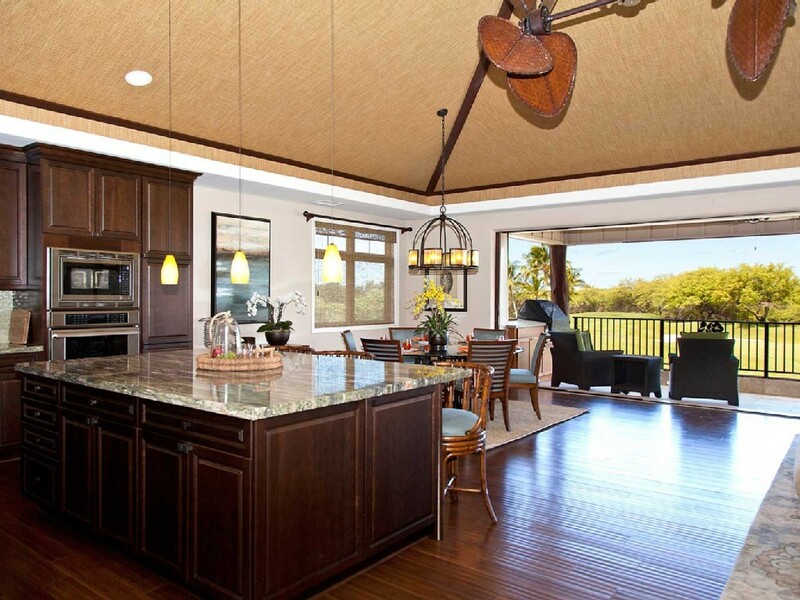 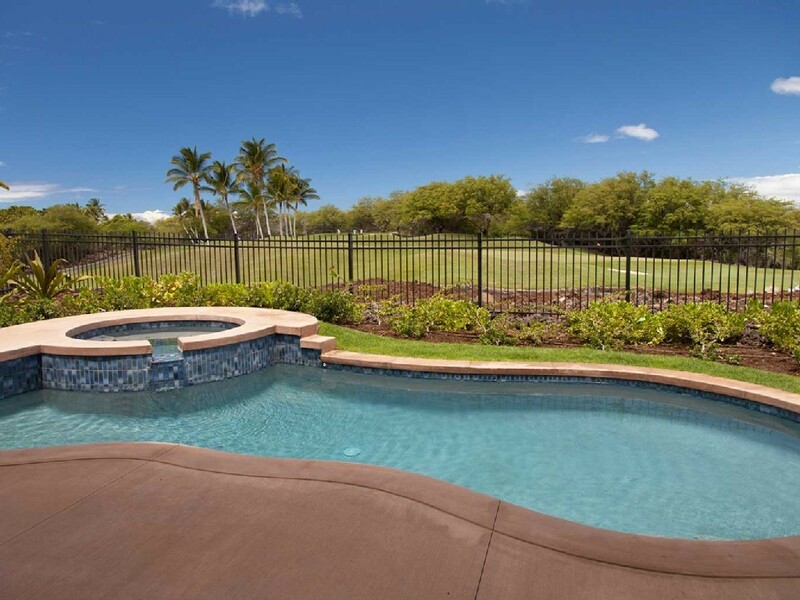 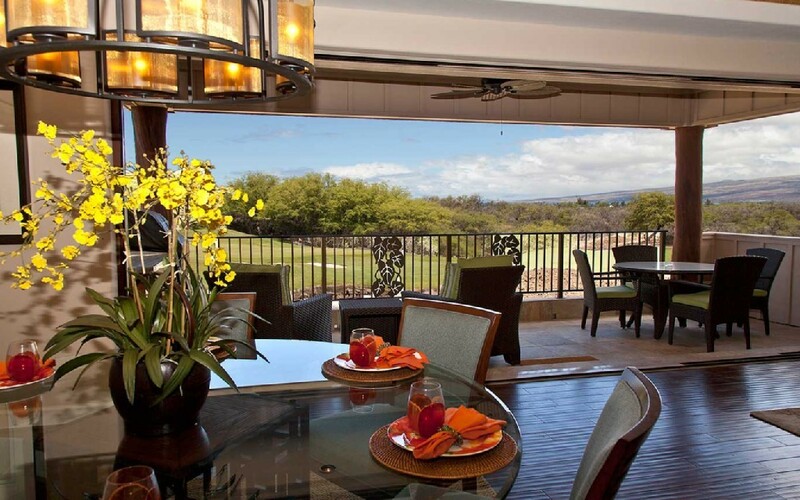 Makani homes feature a large Great Room with Gourmet Kitchen and an sliding doors opening to an expansive Lanai. 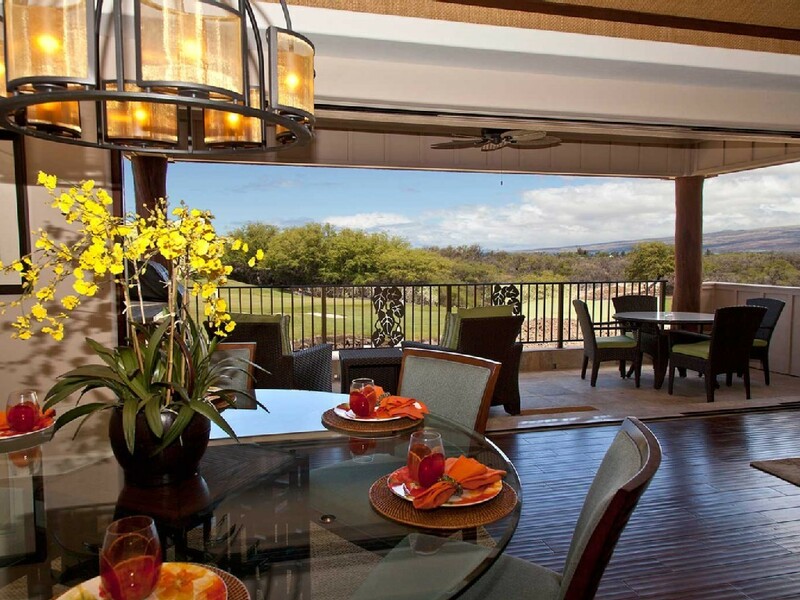 The extra wide Lanai Doors opens the entire back of the home allowing you to bring the beauty of Mauna Lani inside. 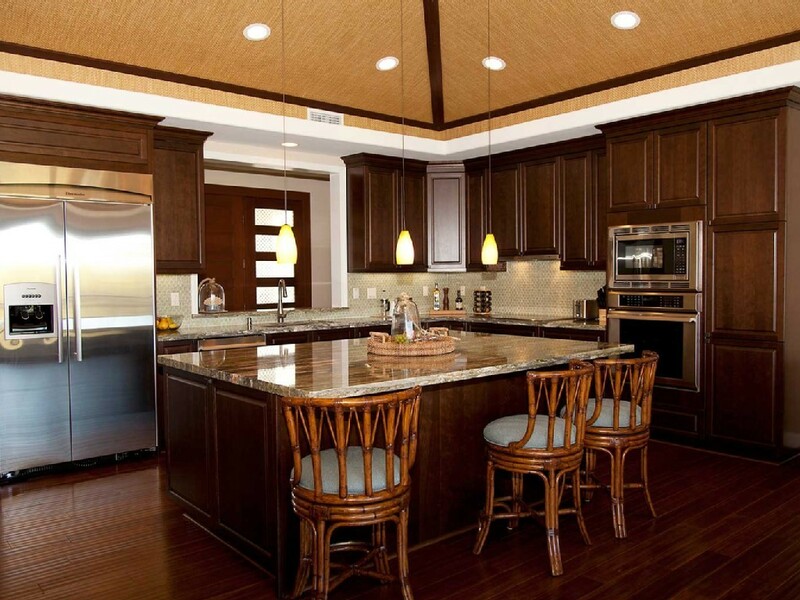 The Gourmet Kitchen features Bosch Thermador applicances and large granite coutnertops to make it easy for anyone to whip up a gourmet meal. 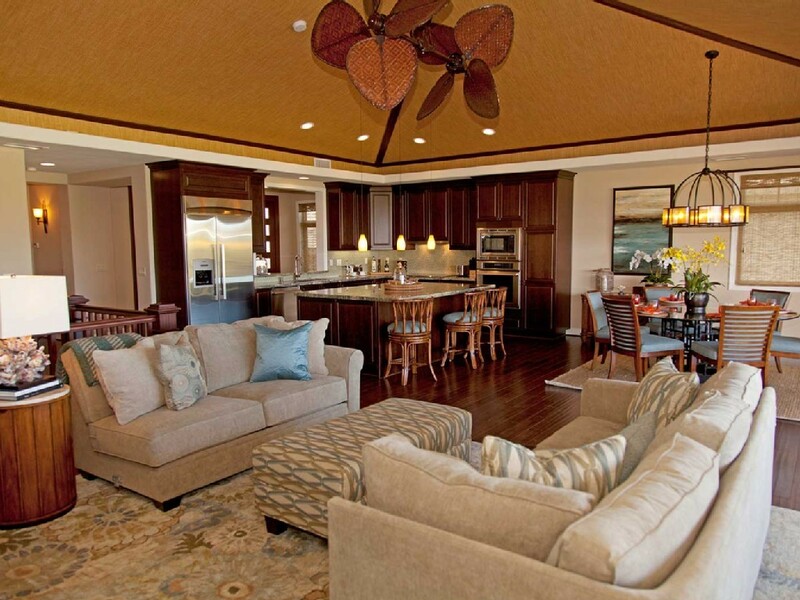 The ground floor Master Suite has a large Master Bath equipped with a soaking tub, oversized shower and dual vanities. 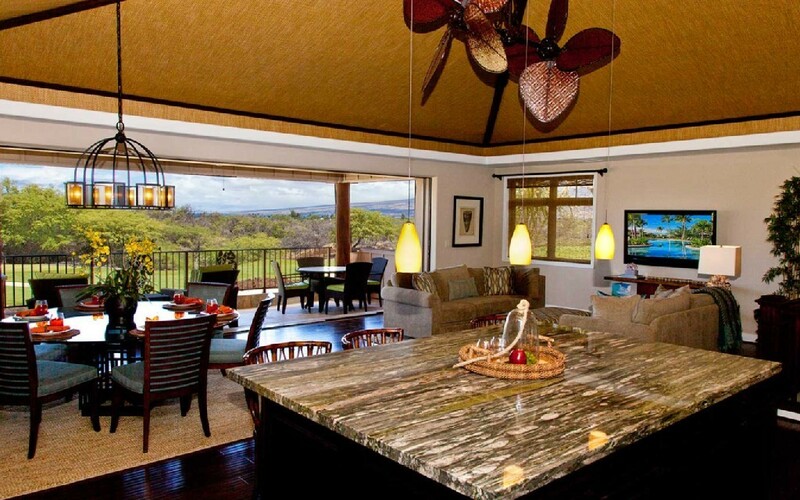 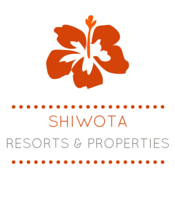 Three well appointed guest bedrooms are situated across the home ensuring privacy for all guests during their stay.